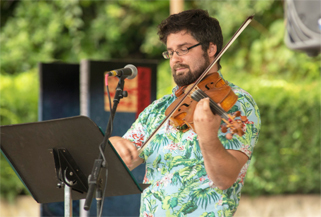 Conceived by Lee Swartz, Board President, HOA hosted a free music program to the public which occurred in Reservoir Park from 1993-2000 and in Riverfront Park in 2001. This program returned on August 19th, 2018 at 4 PM at Italian Lake heralding the comeback of our company! Concerts take place on a Sunday afternoon every August where hundreds of attendees from Harrisburg and neighboring communities are exposed to opera, contemporary opera, operetta, art song, musical theater, cabaret and folk music with performances by local, regional and international artists. Narration provided by Michael Gamon (Director of the Center for the Creative Arts at The Harrisburg Academy), creates a friendly educational, accessible environment for children, adults, classical music lovers and newcomers to these art forms. Below is an archive of past videos, artists, programs and pictures. Current underwriters include The McKenzie Fund for the Arts and Animals. 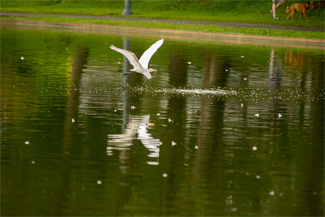 Past underwriters included: The Louis Lehrman Grass Foundation and The Harrisburg Parks and Recreation Department. These concerts are publicized / reviewed by Harrisburg's local television stations, radio stations and media consistently receiving positive ratings. 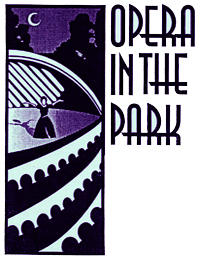 Opera in the Park Highlights - Features highlights of concerts and TV coverage from 1994-1999. 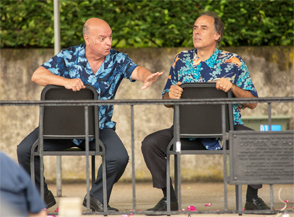 Opera in the Park 2018 feature article heralding our comeback in The Burg Magazine here! Excerpt from the August 28th, 2000 article from The Patriot News - Headline: Powerful voices shatter opera's solemn stereotype. Nikki Tanberg and Phil Jurick always considered opera a formal type of music that was out of their league. But the teenagers attending the "Opera in the Park" program in Reservoir Park last night found their first brush with opera as soft as the blue fleece blanket they sat on for the musical program. "Whenever I think of opera, I think of dressing up and acting formal," Phil Jurick, 17, of Mechanicsburg said as he and six friends from the Pennsylvania Bible Fellowship youth program enjoyed their outing. "It's not like that here. This is out of the ordinary and pretty cool. I'd go to opera on a date."